i was commissioned to make this most recently,working from the existing pieces of pommel and extrapolating the ideas into a full Sword with scabbard work too. What is remarkable is how agile this piece is,not hefty at all,the customer has likened its handling and weight to his katana. 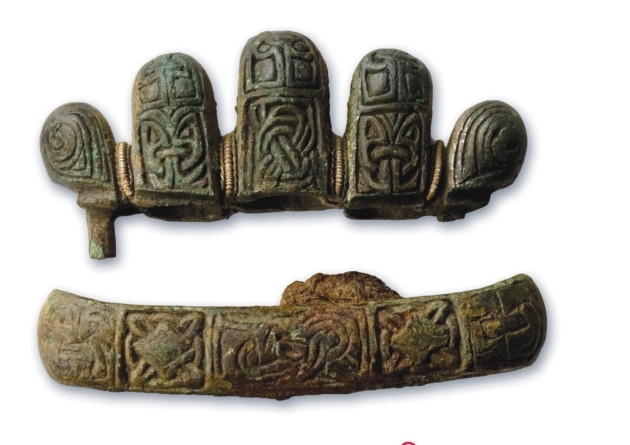 I carved the grip in maple and bone and used the viking/celtic motifs along with the other fittings. Whoa! Nice hilt! 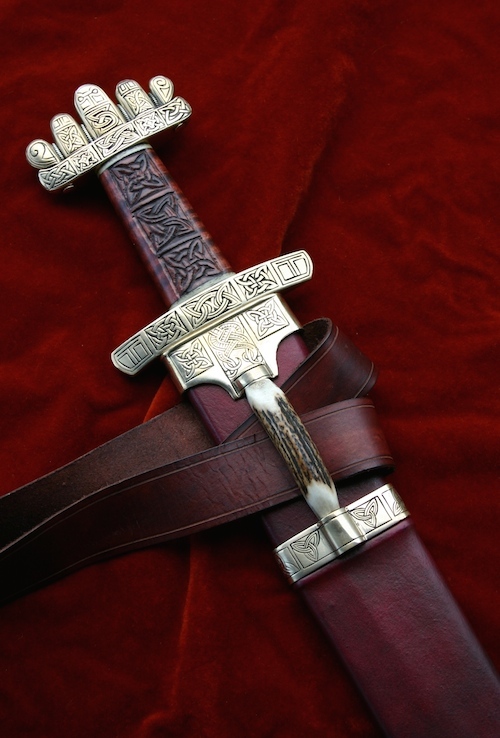 I've never seen a Viking sword with a hilt like that. This is gorgeous! It would seem everything you make is a work of art, form, and function. Not everyone has that talent. Trust me, I know.